Have YOU started your Christmas shopping yet (or shopping for any other holidays – I don’t want to be politically insensitive)? That is a common question this time of year. For me, the answer is “just a little bit”. But this weekend that might change. It is “Black Friday”, “Small Business Saturday”, “Cyber Monday”, and “Giving Tuesday”. A couple of years ago I did almost all my shopping for Christmas online during the Black Friday Weekend – it was great! Except a few of the items were coming from the US and did not arrive until December 24th! I was a little nervous about that! I remember when Black Friday was just a “thing” in the US, and you would only be able to take advantage of it if you actually went there. Then came computers. Then stores in Canada adopted the tradition as well. Then they added all the other special days. And I have noticed these sales start earlier each year. I had some emails last week and wondered if I had the date wrong. Nope. Black Friday is an informal name for the day following Thanksgiving Day in the United States, the fourth Thursday of November, which has been regarded as the beginning of the country’s Christmas shopping season since 1952, although the term “Black Friday” did not become widely recognised or used until the 1980s or later in some regions. 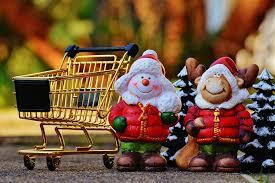 Most major retailers open very early, as early as overnight hours, and offer promotional sales. Black Friday is not an official holiday, but California and some other states observe “The Day After Thanksgiving” as a holiday for state government employees. Many non-retail employees and schools have both Thanksgiving and the following Friday off, which, along with the following regular weekend, makes it a four-day weekend, thereby increasing the number of potential shoppers. Online Shopping: This is perhaps where you will find the most specials. In fact, if you search “Special Offers” under “Promotions & Deals” there is always a list of online offers. The main thing to remember when shopping online with Cashback World is that you MUST go through your Cashback World portal (and have cookies enabled) so you get credit for the purchase. I also recommend that you read the “Special Notes” as there may be exceptions to be aware of. Gift Card Shopping: If you have a gift card, that is like using cash, so you can just go into the store and use a gift card to make a purchase. If you don’t know where to get gift cards, go to the Gift Card Shopping page here. And of course you can use gift cards at Superstore to get all your holiday groceries! I have been saving my PC Optimum points to buy some special Christmas treats. Small to Medium Sized Businesses: I am not sure how many of these merchants participate in Black Friday madness here in Canada, but you can check. Go to “Support Local” Shopping to learn how to do a search. And if you miss out on Black Friday, or you don’t intend to do your Christmas shopping until December 24th (that’s my son), then don’t worry – you can still Shop Smarter and get your Cashback and Shopping Points. Maybe you can even USE some of those Shopping Points for deals – check it out at https://www.lyoness.com/ca-en/search/shoppingpoints.